Social programmes targeting Travellers were initiated by the Report of the First Government Commission on Itinerancy, published in 1963. The Commission’s terms of reference were: “to enquire into the problems arising from the presence…of itinerants and…to examine the…problems inherent in their way of life” (CI Report, 1963, p 11). Travellers have been the ‘objects’ of official policy since then. A key issue in shaping social policy and practice has been the way in which Travellers’ identity is conceptualised. 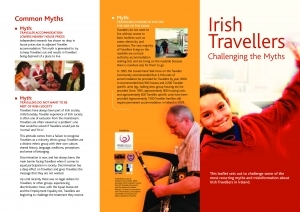 The Report illustrates the dichotomy between official policy and actual practice and illustrates the difficulties that Travellers encounter in trying to integrate into Irish society. 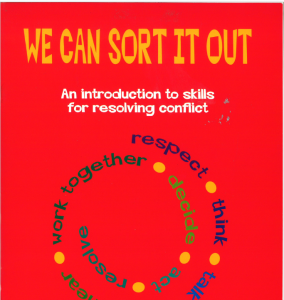 “We can sort it out” is a six-part training module, designed for use on variety of Traveller training programmers run by Traveller organisations and Traveller Training Centres with an opportunity to explore the issue of conflict, to examine their own and others Reponses to conflict situations and to develop skills that are useful in dealing with conflict. 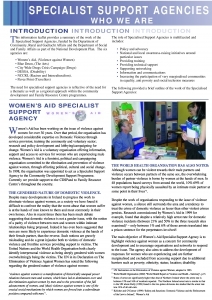 Click below for PDF. 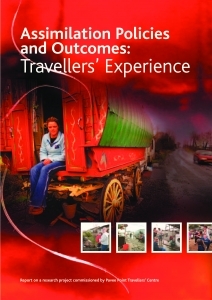 This leaflet is about an evening course on Travellers and Human Rights held in collaboration with Galway Travellers Suport Group, Galway, February 2004.